Salzburg is in the centre of Austria and capital to a very diverse state. This diversity results from its geography: Salzburg reaches from Alpine terrain in the south to a gentle hill landscape with many lakes in the north. Therefore, even the immediate surroundings of the city offer plenty of things to see. The following articles highlight a few nice destinations for mini-outings - trips for a few hours or half a day, maybe a day if you like to stroll and take things easy. 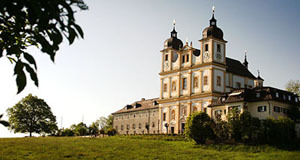 A Baroque castle near the city that now hosts a Casino - see ::more on Kleßheim in the "sights" section! Stroll where Fräulein Maria danced in "The Sound of Music". There are also some unique sights, find ::more on it in our "sights" section.